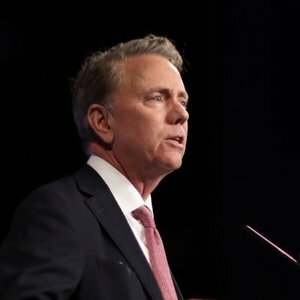 After a meeting with a group of first selectmen in Fairfield County, Governor Ned Lamont today said that a proposal he has submitted to the Connecticut General Assembly for consideration is a win-win for the state, municipalities – and most importantly – taxpayers in the ongoing efforts by state and local officials to create greater efficiencies that produce cost savings for both state and local dollars. Governor Lamont convened a roundtable of local first selectmen – Republicans and Democrats – at the Weston Town Hall to discuss the important issue and ensure they had an opportunity to learn more about his proposal. Under the governor’s proposal, the state will establish a Commission on Shared School Services to begin developing plans for the sharing or consolidation of school services and school districts, with significant involvement of each municipality and school district that chooses to participate. Governor Lamont explained that while his proposal encourages and incentivizes municipalities to identify efficiencies and collaborate on school services, it does not force these partnerships. Any changes must be the result of an inclusive, deliberative process with all parties involved. His proposal incentivizes school districts or towns that submit bonding requests collaboratively or that serve multiple students or towns. There are 169 municipalities, 206 school districts, and 1,493 public schools in Connecticut. The legislation is Senate Bill 874, An Act Concerning Education Initiatives and Services in Connecticut. It is currently pending in the Education Committee and is scheduled to be the topic of a public hearing on March 1 at 1:00 p.m. in hearing room 1E of the Legislative Office Building in Hartford.